The diamond traders said the two jewellers, Nirav Modi and his uncle Mehul Choksi had acquired a reputation for not following the industry's unwritten code of business ethics. The Punjab National Bank blamed Nirav Modi and Mehul Choksi for an alleged fraud of $2 billion. 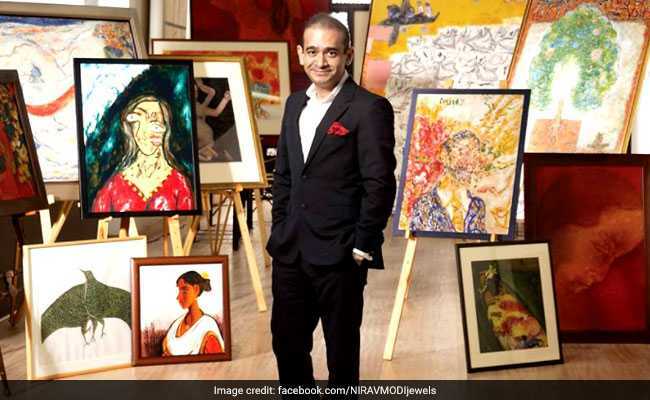 Surat, India /Bengaluru: Some diamond merchants in country's biggest centre for trading the precious gemstones say they had stopped dealing with Nirav Modi and his uncle Mehul Choksi - two big-name jewellers accused of massive bank fraud - because they were often slow to pay dues. The financial sector was stunned when Punjab National Bank said in mid-February it was the victim of a $1.77 billion fraud - a figure that has since risen to nearly $2 billion. The second-largest state bank blamed Mr Modi and Mr Choksi, accusing them of conspiring with bank employees to obtain fraudulent credit overseas. Both deny any involvement. Mr Modi, who runs eponymously branded high-end jewellery stores that stretch from New York to Hong Kong, and Mr Choksi, who heads Gitanjali Gems and operates stores under banners including Gili, Nakshatra and Asmi, both belong to the Jain community from Gujarat. The Jain and Patel communities dominate the diamond cutting and polishing business centred on the Gujarati city of Surat. Traders there who spoke to Reuters said the two jewellers had acquired a reputation for not following the industry's unwritten code of business ethics. Representatives for both Mr Modi and Mr Choksi did not respond to multiple requests for comment. The authorities say both men left the country in early January and their whereabouts are unknown. Eight traders in Surat, where roughly 80 per cent of the world's diamonds are cut and polished, complained of similar issues in their dealings with both Mr Modi and Mr Choksi. "That's why many merchants stopped dealing with Gitanjali or Modi's company long back," said Dinesh Navadiya,former president of Surat Diamond Association, who runs a small diamond business in the city. Gitanjali, in a stock exchange filing, has denied any involvement in the alleged fraud. Mr Choksi, in an open letter to employees on Feb. 23, protested his innocence but advised them to look for other jobs, as his assets had been seized and he was unable to pay their salaries. In a letter to Punjab National Bank (PNB), which says it discovered the alleged fraud at one of its Mumbai branches, Mr Modi disputed the bank's allegations, arguing the sums he owes PNB are far smaller than those outlined by the bank. Mr Modi's lawyer has also denied the allegations. In 2015, Mr Modi was fined 480 million rupees for exporting and importing the same diamonds through Surat's Special Economic Zone to inflate export numbers, an official with the Directorate of Revenue Intelligence said. In July 2013 the markets reglator, the Securities and Exchange Board of India (SEBI), barred Mr Choksi from trading for six months for manipulating Gitanjali's share price. Mr Choksi's Gitanjali adopted a franchise model to open new retail stores, but two franchisees who spoke to Reuters said it failed to deliver on promises made. Mr Choksi and officials of Gitanjali Gems were not reachable for comment. In 2016, Mr Prasad and six other franchisees jointly wrote a letter to Prime Minister Narendra Modi's office accusing Mr Choksi of fraud. The prime minister's office (PMO) forwarded his complaint to the Registrar of Companies, which closed the case, said Mr Prasad, who showed Reuters copies of the correspondence. "I had to believe him (Choksi) as he was managing director and chairman of such a big group, which is publicly-listed and has a brand image," said Mr Prasad. "If you go to do business with such types of people, you will believe them."